1 Bedroom Flat For Sale in London for Offers Over £325,000. 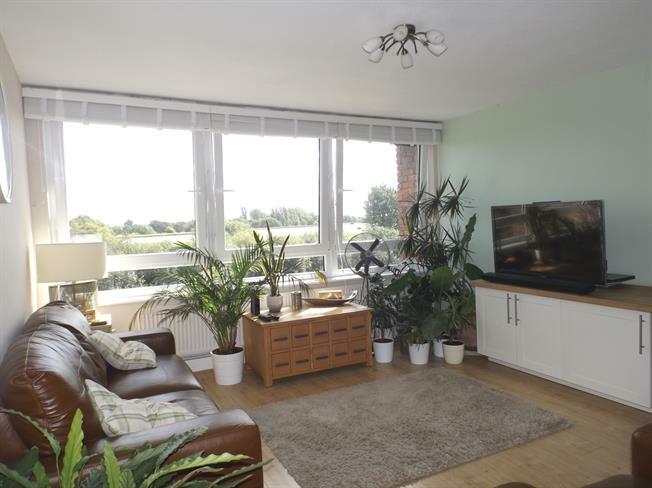 Boasting captivating views of the riverside, this flat is situated at the heart of the rapidly evolving Tottenham Hale area. Coupled with the allure of taking an afternoon stroll along the riverside, Kessock Close is conveniently located to take advantage of newly developed Tottenham Hale retail park and the frequent transport links throughout the capital by both rail and underground. Nearest tube station being Tottenham Hale Station (Victoria line, zone 3 and Stansted Express). The reservoirs will be turned into one of the largest man made wetlands in Europe. Benefits include stunning views of the Lea River, leasehold, excellent transport links, balcony, fitted kitchen, modern bathroom, ample storage, gas central heating (untested), double glazing (where stated). UPVC double glazed door, opening onto a balcony. Double glazed uPVC window facing the rear overlooking the lake. Radiator, laminate flooring, built-in storage cupboard. Granite effect work surface, fitted units, single sink, space for oven, space for dishwasher, space for. Double glazed window facing the rear overlooking the lake. Radiator, laminate flooring. Tiled flooring. Low level WC, double enclosure shower, vanity unit, extractor fan.